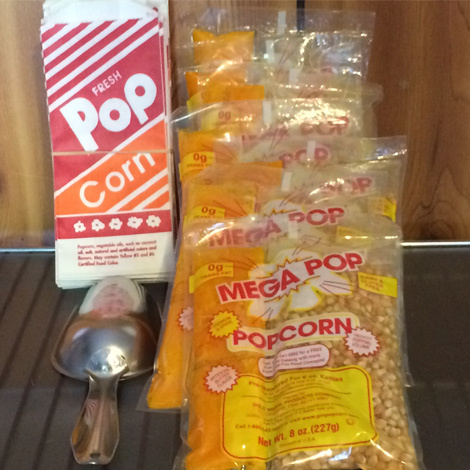 Popcorn package includes enough supplies for 50+ servings. Included in the package are the Popcorn machine, 8 Popcorn packs that make 7 servings each, and 50 bags. There will also be scissors for cutting open the packs, and a scoop.